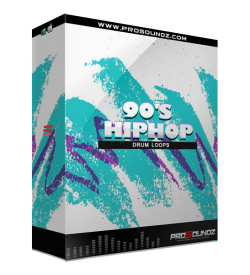 Ever wanted those dope classic drum loops from the old school days? Well now you can, This 90s HipHo..
All Drum, VOX, and SFX Sounds In The Video Are IncludedOur Newest Drum kit released "Butterfly Effec..
Our Newest Drum kit of Summer 2018; "Darkest Hour" is designed and inspired specifically by the Dark..
We Are Proud To release an EXCLUSIVE drum kit from ImaShiine, The "Hall Of Fame" Drum Kit, Is going ..
Our Newest Drumkit released "In Trap We Trust" is designed and inspired specifically by the musicial..
Our Newest Drum kit released "Robbin' Season" is designed and inspired specifically by the Atlanta s..
Our newest EXCLUSIVE kit release "Scorpion Drum Kit" is designed by Music Producer ImaShiine&nb.. The Anticipation Is Over, The Latest Exclusive Kit From ImaShiine, Is Here, The Self Made DrumKit, I..